MaxxValut is one of the best document management software solutions in the market. It provides many unique features which makes managing document really easy. MaxxValut promise's one thing that it keep your costs down and will increase productivity at the same time. 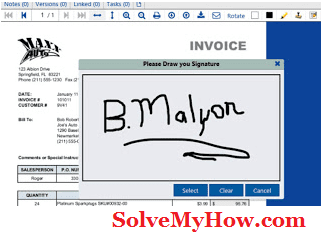 MaxxValut solutions will always make sure that you remain on the top of your accounts payable invoice processing. Not only this, with the features like external file sharing to instant secure messaging, this tool makes processes really easy and time saving for medium to large enterprise. Document management can be a real headache specially when you are growing your business and operation. This is the common problem we used to experience while growing from medium to large company setup. But MaxxVault make sure information to be maintained confidentially, with secured integrity and availability when needed. MaxxVault is one of the best document management software solutions in the market. 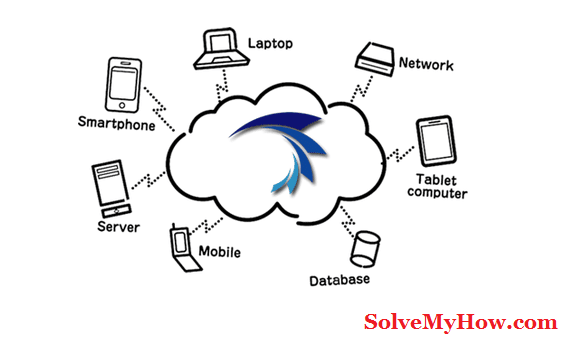 It also provides content management, securing, processing, and sharing solutions. The accounts payable software solution make sure you remain top in the accounts and management industry. So with this you'll never miss any invoice or transaction related document and they will be just a click away from you. It doesn't matter whether its healthcare industry, finance, insurance, manufacturing or large co-operation where thousands of documents are being processed everyday. MaxxVault adds simplicity and security to it. 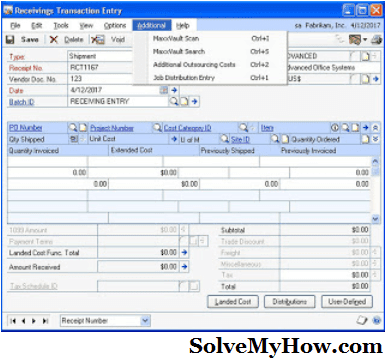 Lets see some of the back office solutions provide by this tool. The invoice are secure and verified. You can also sign the digital signature. Not only this, your documents are getting processed only daily basis and obviously it saves lot of time as compare to conventional paper work. Now you do not have to worry about forgotten or delayed invoices. Now lets see one amazing video and lets see how this helps in saving time and give more efficient work. As you know most of the medium and large scale companies use Microsoft dynamics ERM system. Information from invoices and other new documents have to be entered into the system. So once this is done, the document can be scanned into MaxxVault using "MaxxVault Scan". After that you can check the quality of the document and simple save it. Whenever company or staff is reviewing a transaction with Microsoft dynamics GP/AX/SL/NAV, they can immediately access all your proofs. Here MicosoftDynamics will automatically retrieve the right document. MaxxDynamics offers a single-click document for scanning, indexing and searches feature for those using MS Dynamics GP/AX/SL/NAV. data and files are feeded more efficiently. documents are stored within the MaxxVault Enterprise, so no need to worry about security. MaxxDynamics manage the papers and data based on your records management policy. 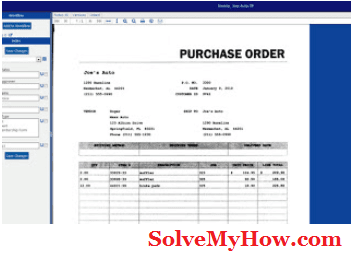 So it becomes pretty easy to manage business with Microsoft Dynamics. There are couple of advantages of using MaxxVault. It helps to reduce costs in the filing, routing, and storage of paper documents. Customers can be provided the desired information in no time. It takes just couple of seconds to access information of your accounts and payable staff. This tool will definitely help you to boost your organization productivity, efficiency and profitability. MaxxVault is must try tool for Content Management and Enterprise Document Management Systems (EDMS). MaxxVault had won couple of awards. You can check all the awards from the official site but here are some of the best. Healthcare tech outlook - 10 most promising Document Management Solution Providers 2016. North America's Top Software Vendors. So this was all about MaxxVault. Now lets see what is MaxxCloud. It is also the best cloud document management software. MaxxVault allows you to have your own private cloud server which can be hosted on your own server. However you can also take advantage of fully hosted MaxxCloud. So its really upto you to choose between fully hosted and hybrid or on-premise solution for storing and managing your document. I agree with you that no one wants to move their software to a hosted solution as they can lose the functionality they are enjoying on current software. With MaxxCloud, you will work with single-source provider that understands the needs of maintaining your infrastructure, documents and data. You do not have to worry about you document management applications and date. As they are hosted in a world class data center and accessed via secure connections over the internet. MaxxCloud has already managed and scanned 1526 Million+ documents. Here are some of the big companies using this tool. So this was all about MaxxVault and MaxxCloud review. I hope you enjoyed reading this tutorial. Which tool you're going to use today ? Is it MaxxVault or MaxxCloud ? Do let me know in the comments below.